One of the most common questions I am asked about the Cook’s Companion App is … can I use the App on both my iPhone and iPad without having to pay twice? The answer is yes! If you have already downloaded and purchased The Cook’s Companion App on one of your devices, you can access your purchases from a second device … as long as both devices use the same Apple ID. Please come and meet me in Melbourne and Sydney! 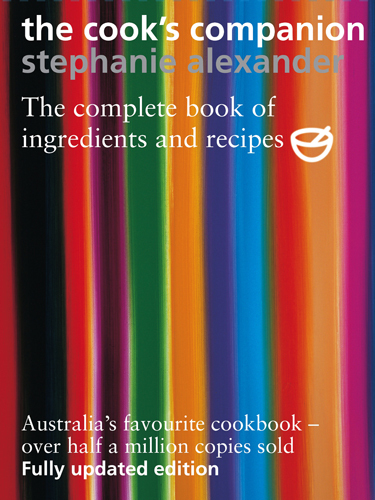 I’ll be appearing at independent bookstores to talk about the new edition of the Cook’s Companion and my work with the Stephanie Alexander Kitchen Garden Foundation. 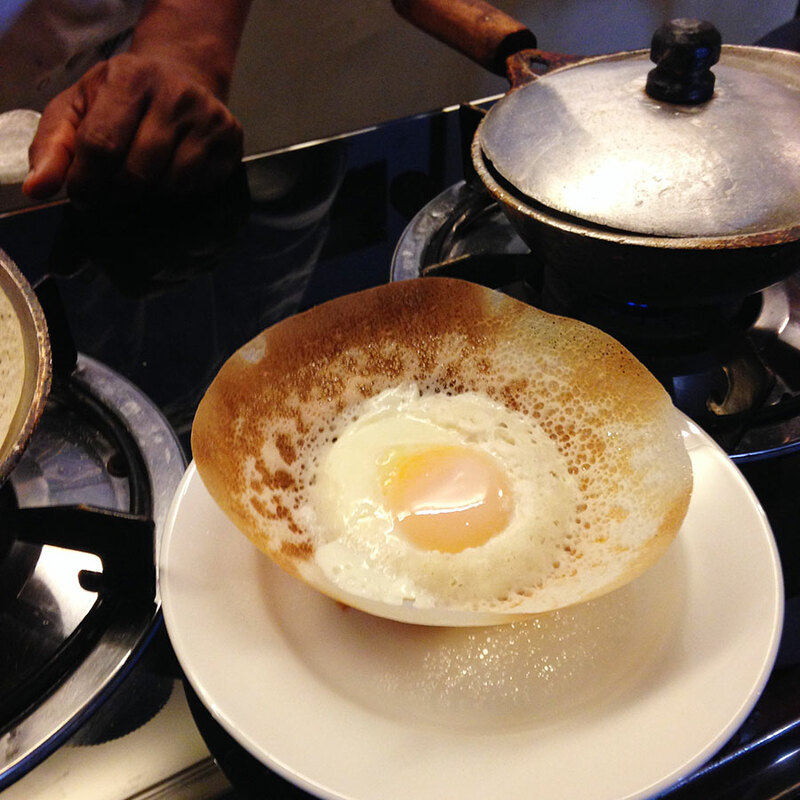 Having read about ‘hoppers’ for years it was great to not only taste one but see them made. Tissue-paper thin they are formed by rolling a coconut water and rice flour batter around a small round bottomed pan held over a flame, covered with a lid and the chef then moved the pan from side to side before uncovering and adding an egg. Miraculously this ‘bowl’ of delicate crisp pancake is served with the perfectly cooked egg intact at the bottom. Then one adds other things according to your fancy. Maybe a spoonful of jaggery sambol with onions, or something hotter, or a dollop of Dahl, or a portion of fish curry. This wonderful breakfast was preceded by a small bowl of soothing and gentle Kola Kenda, a traditional Sri Lankan breakfast soup. It was an almost transparent green made from various herbal leaves boosted with a little rice and coconut milk and water. It was recommended to be enjoyed with a piece of jaggery? I am always excited to encounter a traditional dish enjoyed for generations that somehow thumbs its nose at the current interest in drinking wheat grass or mixing up murky green smoothies.